Trust Edgecity Builders to bring your dreams to life. Trusted in the industry for over 20 years, Nick and Sharon have got the Edge you're looking for. At Edgecity Builders, we specialise in high end residential builds. No job is too big for us. Edgecity Builders can cater to your commercial building needs. Hidden into the landscape is this beautiful 3 level family home. We completed 6 months of piling, foundation & retaining wall work prior to the house construction. Natural stone occupies all levels of the open plan home, including deck and pool areas. 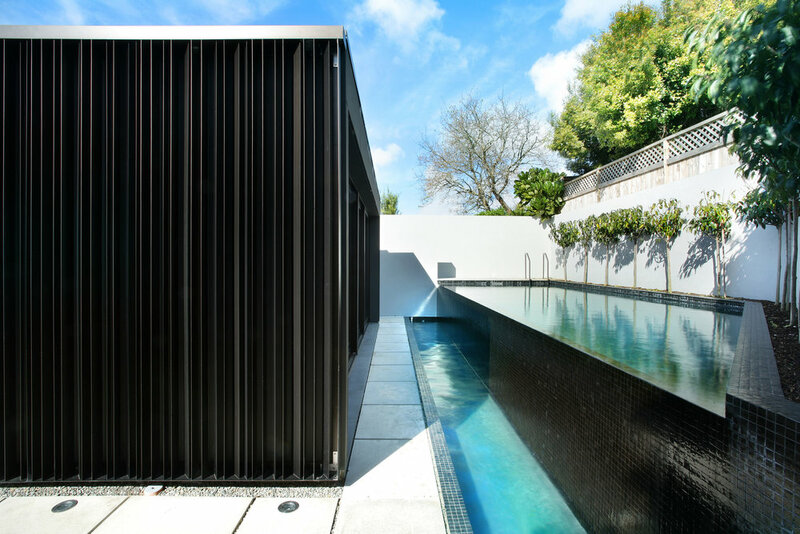 Joinery and screens maximise panoramic water views & privacy. The Existing home on the site was removed allowing this new build to take place in prime real estate area with magnificent sea views. It is a three level tilt slab & glass 614m² family home. Which hosts swimming pool, internal spa, theatre and also an external fire place in the courtyard. A perfect home for entertaining all the family.